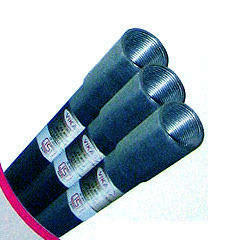 Our range of products include hot dip galvanized rigid steel conduit pipes. We manufacturer a product Hot Dip Galvanized Rigid Steel Conduit Pipes by advanced process (ERW) with induction tube welding. It gives optimum accuracy and are manufactured by using fine grade mild steels. Looking for Rigid Steel Conduit Pipes ?